If you have been looking for places to ride your ATV and Motorcycle this is the place for you. At our ATV Trails guide we will show you cool places to ride your ATV or Quad where people will welcome you, and your vehicle. 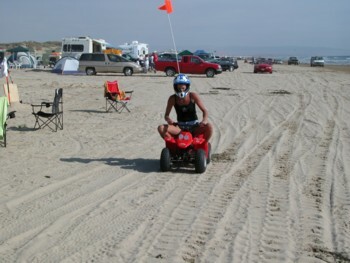 The riding areas on the web site range from the East to the West with dunes, mud, desert and mountains. We are continuously adding new areas so be sure to bookmark us. In addition to driving directions to all areas, we have provided you with free trails guid to help get you to ride. For some trails we have posted pictures with brief descriptions with them to help you better know what to expect. Also included in each riding area is a list of preparations to further help you prepare and enjoy your trip. 1 Food and Water- You should always pack a lunch and water. Camebaks can carry up to three liters of water and they have pockets. 2 Proper riding gear- Helmet DOT certified, goggles, gloves, boots and long sleeve jersey. Also we recommend a good chest protector. 4 Trail maps- It helps from getting lost and will benefit if you need to call for help. 5 Cell Phone and GPS- these are a must!!! 6 Tools- This includes spark plugs, towrope, tire repair kit, wire, tape, knife ect. What do you do when you already have the largest managed off-road trail system on the East Coast? Well, if you’re the Hatfield-McCoy Trails, then answer is to add even more trails make your system even bigger. Pismo is a great place to go, you can camp right on the beach!!! And ride your heart out!